Mix together crumbs and melted butter and press into bottom of 9" (23 cm) springform Pan. Bake in 350° F (175° C) oven for 5 minutes. Beat cream cheese with sugar until smooth. Add vanilla extract, lemon juice and zest. Add eggs, one at a time, beating well after each addition. Add sour cream and beat to form a smooth batter. Pour over baked crust. Bake at 325° F (160° C) for 40 minutes. 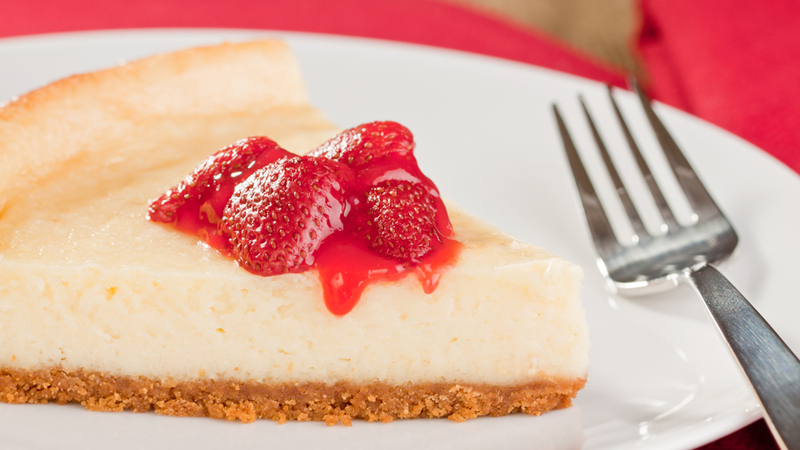 Remove the cheesecake from the oven, let cool to room temperature. Refrigerate overnight in the pan. To serve, gently remove outside ring and transfer to plate. Serve with fresh fruit or Raspberry Coulis. 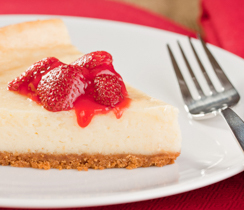 For best results when serving cheesecake, always use a clean, wet knife for each slice. Tip: Place a pan of cold water in the bottom of the oven while the cheesecake bakes. This will help promote even baking and prevent the cake from cracking.